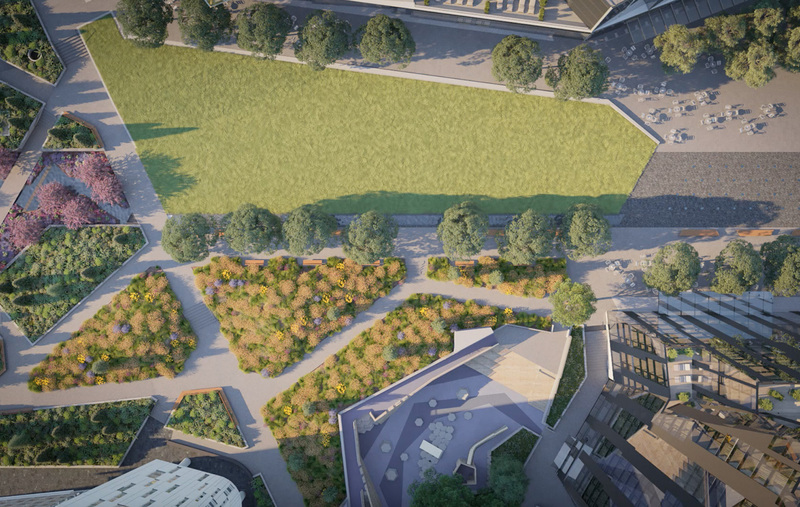 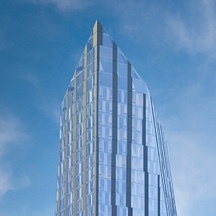 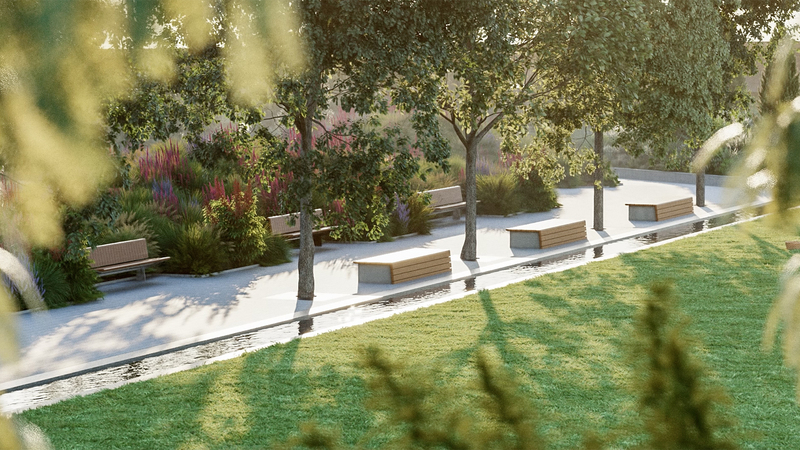 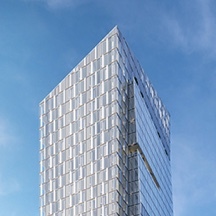 Encompassing nearly three acres, the park at the center of Waterline Square celebrates regeneration and beauty, creating a living, natural connection between the buildings. 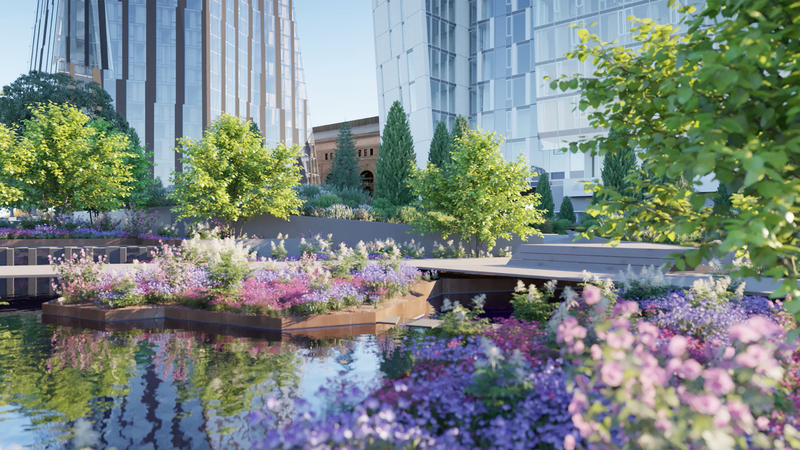 It is at once a backyard and an oasis, accessible from each of the three towers, graced with sculptural fountains, manicured lawns, meandering paths, cascading water features, and a fully equipped children’s playground. 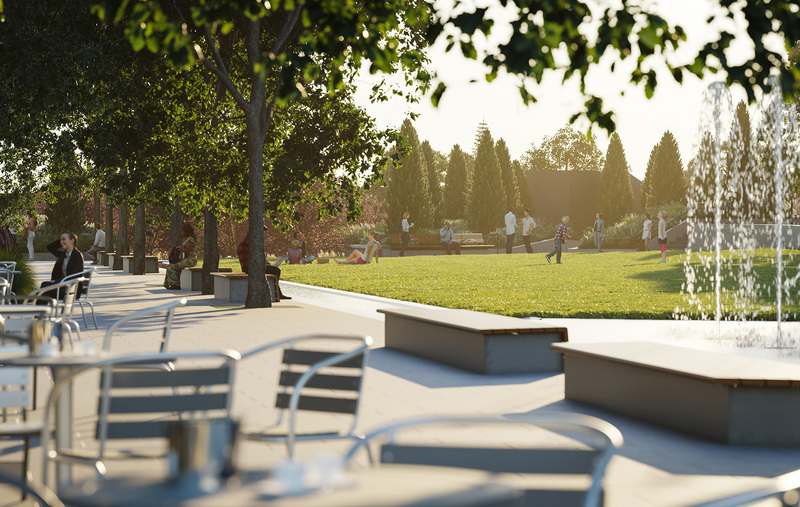 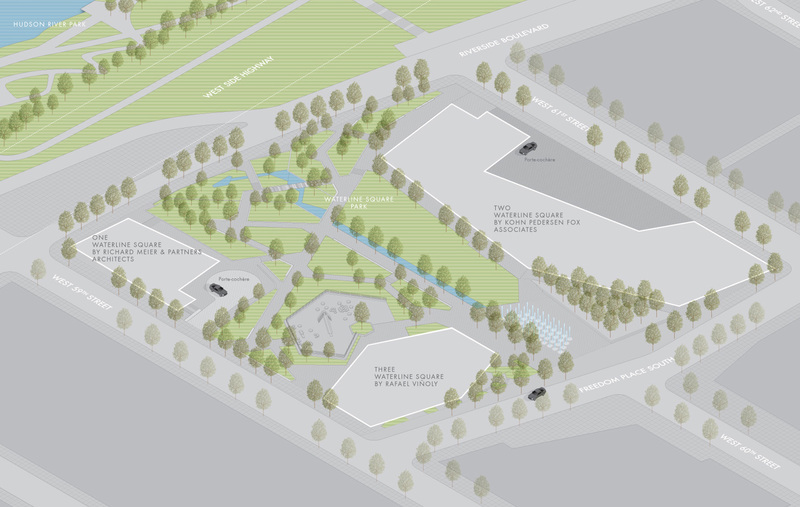 Waterline Square Park encompasses nearly three acres, and acts as the living centerpiece of the site. 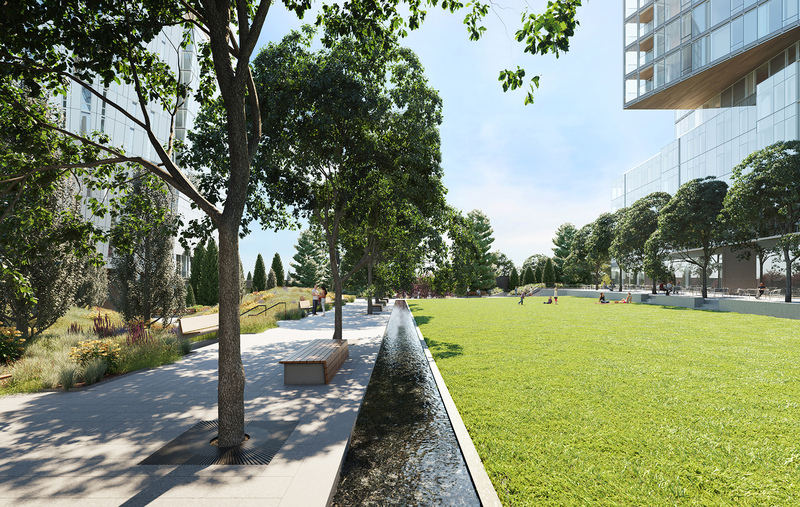 It includes sculptural fountains, manicured lawns, cascading water features, a flowering meadow, and meandering paths. 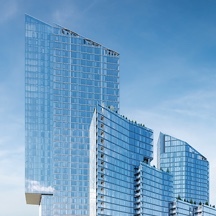 Moving from an urban streetscape to the Hudson River, the landscape is one choreographed gesture, acknowledging the energies and distinct characters of the buildings in its path, morphing to its surroundings.